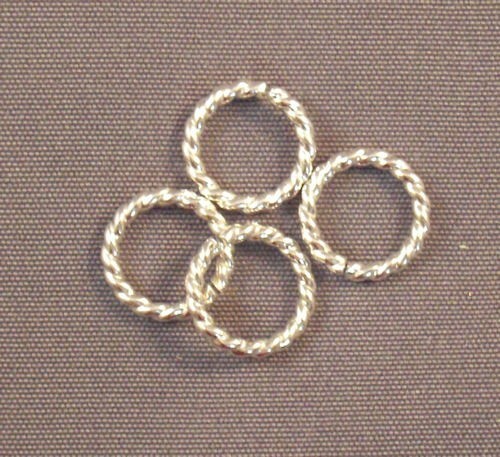 Twisted rings are wonderful for adding texture and sparkle to many chainmaille weaves. They are oftentimes utilized as accents within the weave. These rings are made of Argentium Silver. This is sometimes called the anti-tarnish metal because it is more resistant to tarnish than Sterling Silver.